After a good night sleep, the day started early with the boys waking up at 7.30 to get ready for breakfast at 8. Some of them were so excited to go to the morning training session that they even wore the training kit to the canteen. 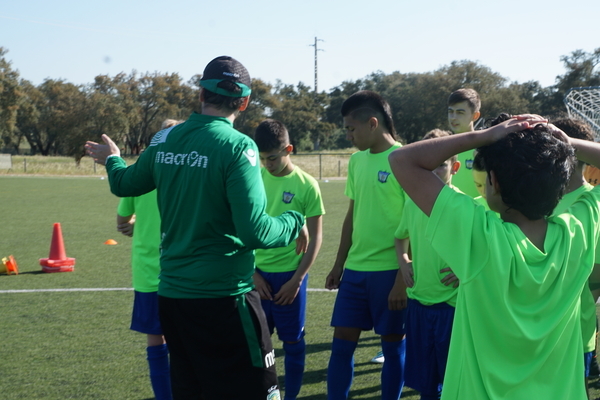 After some relaxing time spent in the games room and after making sure they were all wearing sunscreen the boys got ready for a challenging training session with Sporting Lisbon Coaches Marco and Gonçalo. The weather was very warm, sunny and the day was beautiful. They have water available during the whole training so they make sure to keep hydrated. At training, players were divided into 2 groups and the session today focused mainly on 1V1 drills, one of which was particularly challenging, but the boys did well, and some even impressed with their football skills. 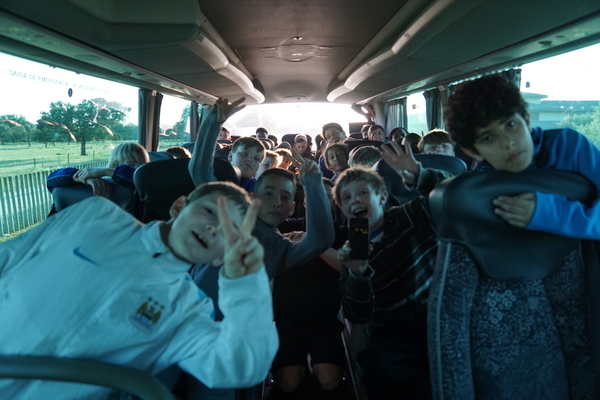 Boys trained right next to the Sporting Lisbon main and B teams, which made it even more special. We went to lunch soon after training and there were no complaints, the boys ate everything and made us proud. Lunch included the usual soup, bread, salad, stewed chicken/fish, white rice and jelly or rice pudding for dessert. Coach Jason Will be happy to know the boys are drinking lots of water. We went to the game room then and the boys enjoyed themselves and did some team building while playing snooker, table football, table tennis and FIFA in the PlayStation. They were quite enthusiastic indeed and they definitely owned the Games Room! 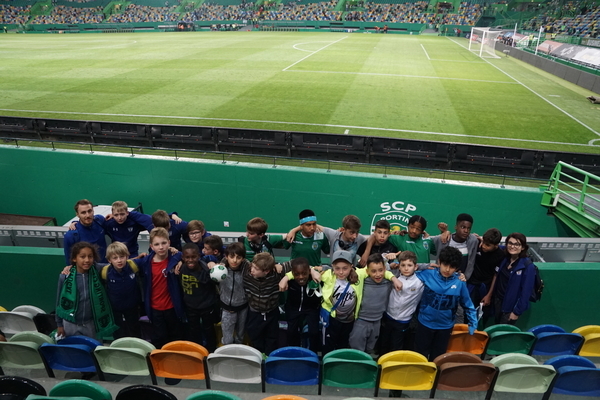 Before watching the Sporting Lisbon U13 team play a match, in the afternoon Coaches Michael and Nuno organised a tournament that took place at Sporting’s Academy indoor pitches, which have incredible conditions. Since it was very hot outside, our coaches thought the indoor pitches had the best conditions for the boys to play. It was great to see them have fun and just enjoy themselves playing their favourite sport. The tournament was won by Rodrigo, Daniel, Cosmo, Jacob, Cole, Victor and Johny’s team. The tournament’s MVP was Jacob and Rex was the Best Goalkeeper of the Tournament, saving seven penalties out of eight which helped his team secure the second place in the competition. After the tournament it was time to watch the Sporting U13 team play a decisive match for the league, and afternoon snack time arrived really quickly. As usual fruit was mandatory on the menu. Players were asking to go to the Games Room and since they had been behaving really well, they got their wish granted. Afterwards we headed to the Sporting Lisbon stadium, Estádio de Alvalade, to watch the main team play an exciting match against Boavista, one of the strongest teams from the North of Portugal. When we arrived at the stadium we headed to the Sporting Store, where some of the boys bought some souvenirs to take back home. We were amazed with our seats, we were just metres away from the pitch and players, all thanks to Sporting, who got us personalised tickets for some of the best seats in the stadium! Sporting Lisbon won the match 4-0 and the boys celebrated each goal as if they had scored it themselves. A packed lunch was waiting for them in the bus and they fell asleep as soon as they got to bed. What an unforgettable day this was!